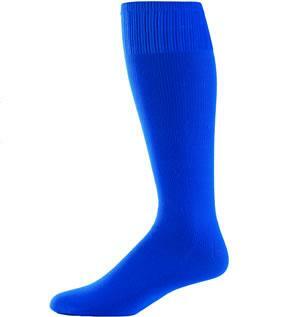 Two-in-one 70% Cotton/30% stretch nylon baseball socks. 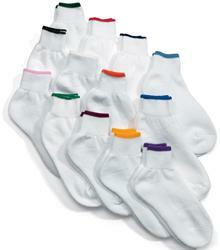 White sock with color stirrup knitted in. One Size 9-11. 100% stretch nylon. Tubular, dude. One Size 9-11. 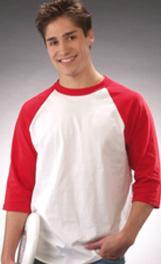 80% Cotton/14% Nylon/6% Spandex. Stay up comfort top. Knit-in heel. Knit with arch support. Cushioned sole. Non-abrasive toe seam. 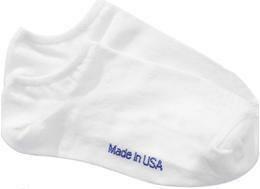 Made In U.S.A. Men's size: 10-13. 80% Cotton/14% Nylon/6% Spandex. Stay up comfort top. Knit-in heel. Knit with arch support. Cushioned sole. Non-abrasive toe seam. 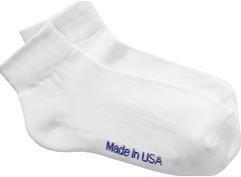 Made In U.S.A. Womens size: 9-11. 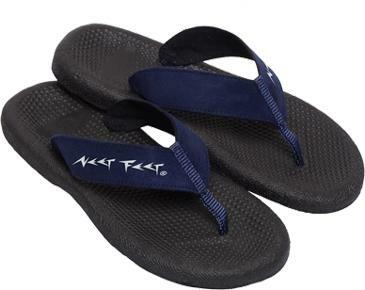 Comes with flip-flops and straps assembled with key chain inserted into key tags. 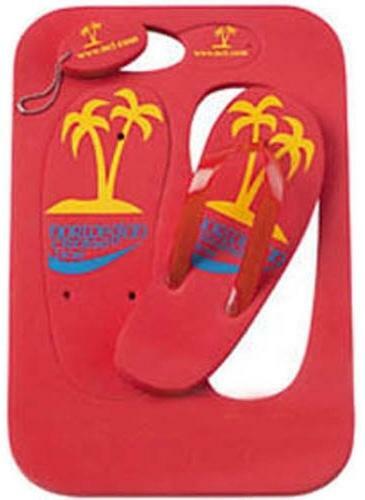 Shipped with "punch out" flip-flops and key tags in foam board. 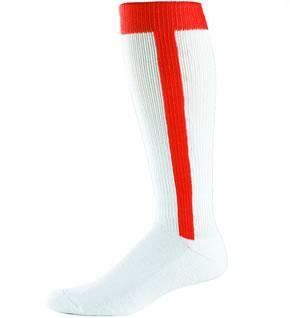 Choice of one size fits all men's or women's size (specify men's or women's). Available in 6 colors (foam and strap colors match-specify which is color is wanted). This sandal is great for those who prefer a slide style sandal. The slip-on combines a soft natural rubber strap with a cushy 15mm EVA sole for comfort, durability and value. Assembled in the USA. 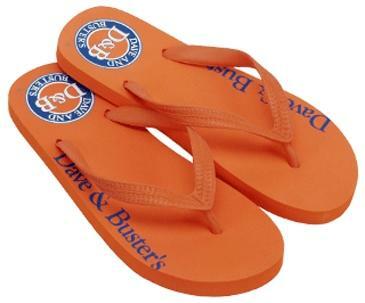 The world�s most popular sandal can be found the world over. Our classic zorrie is made with a high quality, 15mm virgin EVA sole, and natural rubber straps, for economical, simple, yet high quality footwear. . Sandal and strap colors can be Pantone� matched. 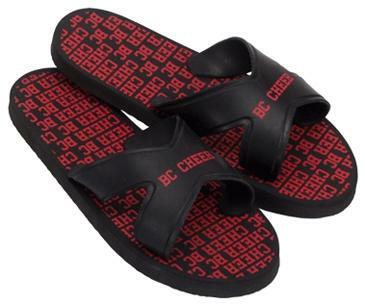 Our version of the world�s most popular sandal features a diecut outsole that leaves an imprint of your logo with each step in the sand. The natural rubber straps and 18mm, virgin EVA foam rubber soles can be Pantone� color matched. Recessed 18mm EVA sole with arch support. Available in black only. Comfortable screen-printed fabric straps, available in black only. Option “logo sole footprint” leaves an imprint in the sand. Decorated in the USA. The amazing Coco Zorrie has a reinforced insole of recycled coconut fibers, on a 15mm soft eva sole with natural rubber straps. 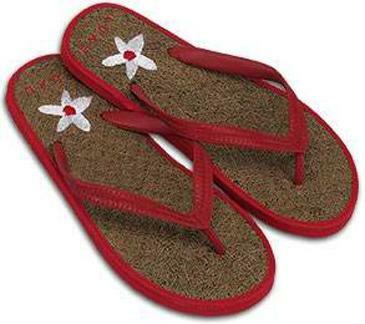 We embroider your logo on the coco insole and match the strap and sole colors to your specs. 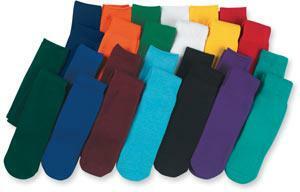 It is a natural alternative to leather or rubber footbeds, and allows air to circulate beneath your foot.